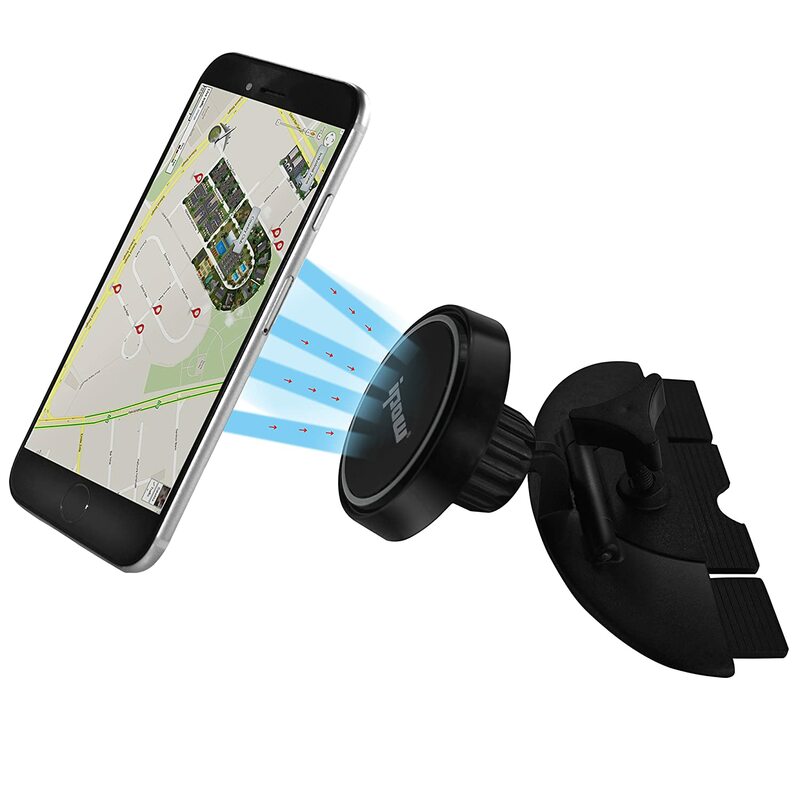 This magnet car mount comes with two thin plate of metal, car mount and the magnet. First of all, the magnet is very strong and adhesive, I mean I nearly bend the metal plate when I was trying to take them out. And even without the metal plate, I can also stick my iPhone 5 on it. Although it will fall or slip slowly, you can rotate and slightly adjust the angle of the magnet, just to the point that it is not completely vertical and the phone will stay there just fine. It is extremely easy to install. Simply just peel off the 3M tape attached in the back of the plate, and then stick it either on phone or inside of the phone case. To set it up, insert the grip into the CD slot (I prefer ejecting the CD beforehand), and then twist the tightening wheel few times to secure it. Don’t over tight it though, otherwise your CD unit might be damaged. After that, adjust the magnet to the desire angle (don’t forget to tighten the bolt on the back of the magnet), and place your smart phone on it. If you swap you phone case too frequent and don’t want to put the plate on the case permanently, I suggest to do the following. Use some transparent tape and tape the metal plate on the back of your phone or phone case. So that you can remove the plate easily and won’t leave any mark on the device. I strongly recommend this car mount, because it provides easy set up and removal of the phone while behind the wheel. Better yet, it can fit any device you think of as long as the metal plate is attached to the object that you are planning to put on the mount.